Welcome to Goose Pond Colony Resort. 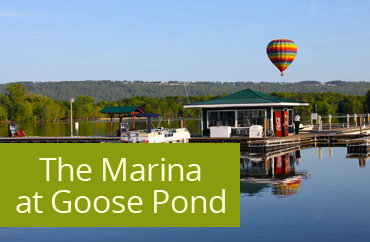 Located on the banks of the Tennessee River’s beautiful Lake Guntersville and nestled into the picturesque Cumberland Mountains, Goose Pond Colony Resort awaits your arrival. 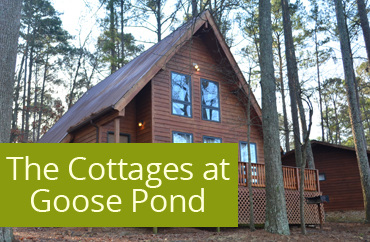 Goose Pond Colony is a municipally owned resort that will take your breath away. 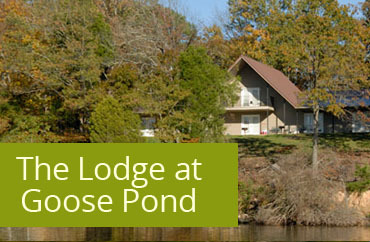 With two beautiful 18 hole championship golf courses, comfortable lakeside cottages, lodge, relaxing waterfront campground, walking trail, full service marina, meeting facilities, The Docks Restaurant, swimming pool, beach area and Lake Guntersville, we are all you need for a relaxing vacation or one day outing. Boats, and other Water Rentals 256-609-2847 Don’t have your own boat? 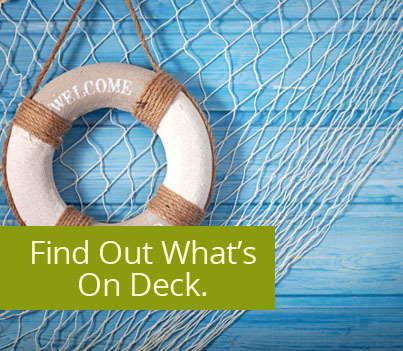 Come on over and rent a boat or other watercraft for entertainment on the water. For additional information call 256-609-2847.